Thank you so much to everyone who entered the giveaway! I really enjoyed reading your comments about some of the toughest things you've done. 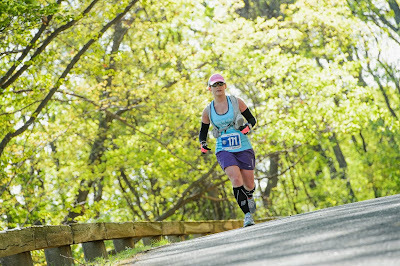 The winner of the entry into the 2014 Blue Ridge full or half marathon is... Diane C! Congrats!! 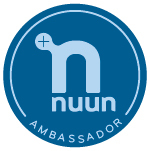 Shoot me an e-mail ([email protected]) and I'll get you all hooked up with a registration code. 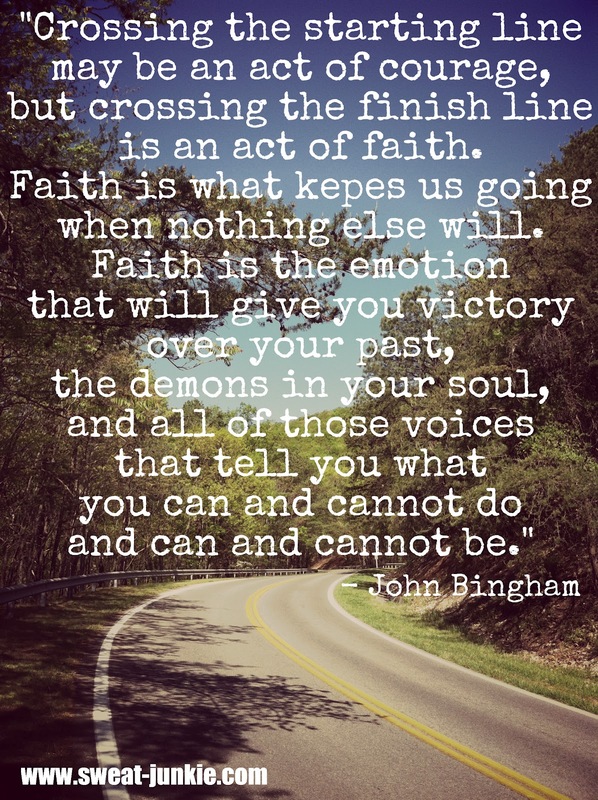 If you didn't win, I still want to encourage you to register for the Blue Ridge full or half marathon. The price for the full marathon is $80 until 12/31, $90 before 3/17, and $100 through race day. The price for the half marathon is $65 until 12/31, $75 before 3/17, and $85 through race day. Worth. Every. Penny. I promise you won't regret it. 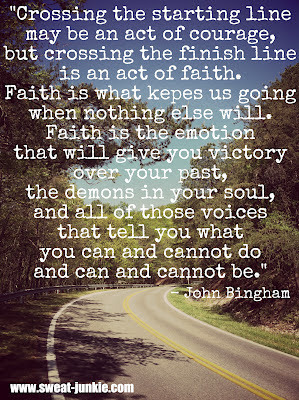 The Blue Ridge Marathon will always hold a very special place in my heart. I think everyone will always remember their first marathon or half marathon...or their first 5k or 10k for that matter. 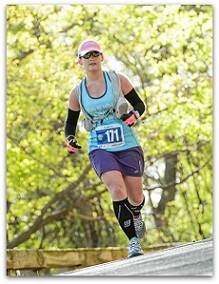 My first marathon was at the Blue Ridge Marathon this past April, and I will definitely always remember it. 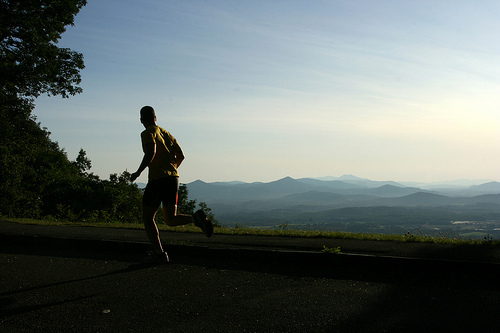 The Blue Ridge Marathon is nothing short of epic. With 7,440 feet of elevation change in the full marathon and 2,528 in the half, this race is not to be taken lightly. 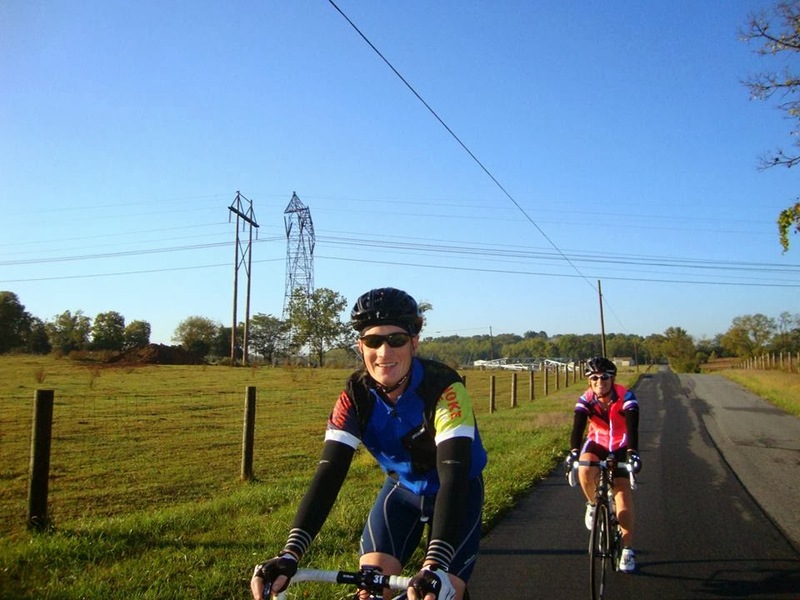 In fact, the Blue Ridge Marathon calls itself America's Toughest Road Marathon. But don't let that scare you away. If I can do it, anyone with enough determination can do it, too. And once you cross that finish line, you'll feel like you can accomplish pretty much anything...once you're able to walk down the stairs and sit down on the toilet again. 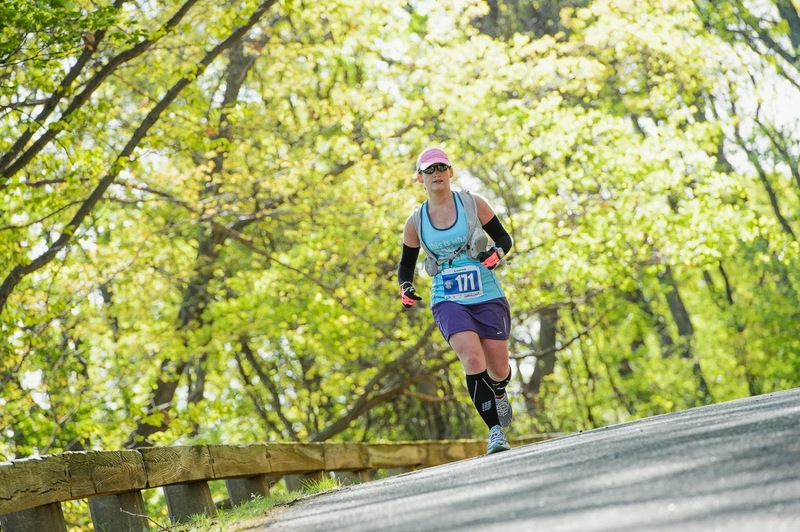 The toughness of the Blue Ridge Marathon is just one thing that makes this race stand out from the rest. I might be a little biased because I'm blessed to live in Roanoke, but this has to be one of the most beautiful courses out there. Whew...just watching that makes me want to run it again tomorrow! I could really go on and on about how much I love this race. 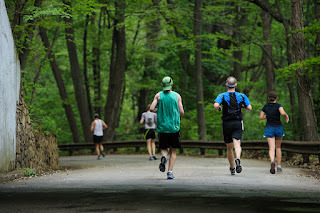 But in order to truly understand where I'm coming from, you need to experience it yourself, which is why I'm so happy to give one of you a chance to run in the 2014 Blue Ridge full or half Marathon. Entering is super easy...just check out the Rafflecopter widget below. Don't forget that you can tweet about the giveaway once a day for additional entries! The contest will end at midnight on Sunday, October 27 and the winner will be announced via blog post/twitter. Good luck! I know I'm not the only person who can't believe it's already October. Only 3 more months left in 2013. Crazy! 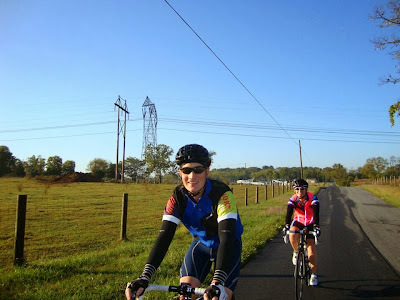 The most exciting thing that happened in September was completing my very first century ride with my husband at the Back Roads Century. It was awesome (I'll be doing my recap soon). Honestly, riding 100 miles wasn't nearly as tough as I thought it'd be. But the route consisting of gently rolling hills and doing our training rides with way more elevation changed definitely helped us get through it with no problem. 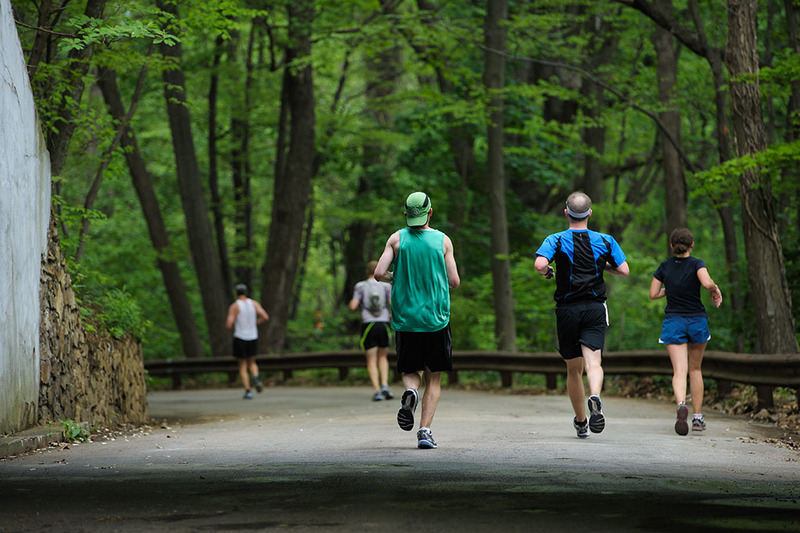 I also tried to be deliberate about easing my way back into running in September. I did 12 miles of "run/walk" workouts. Several of these consisted of walking over to the track (.75 miles away), running several laps, and walking back home. The track is much easier on my body...I can definitely tell I haven't run in a while though. I'm trying to keep a positive attitude and be patient when I'm not able to run as far as I'd like to, and I keep telling myself that I will be able to run far again soon. 1. Focus on lifting weights at least 2 but preferably 3 times a week. 2. Consistently go on run/walks and not be ashamed of how much I might have to walk. 4. Actually try to stick to my Paleo-ish way of eating and learn to say NO to foods that ultimately make me feel sluggish, even though they are delicious.